Discussion in 'Completed Pin Sales' started by themastereddo, Oct 24, 2017. It has been forever, but I'm back. 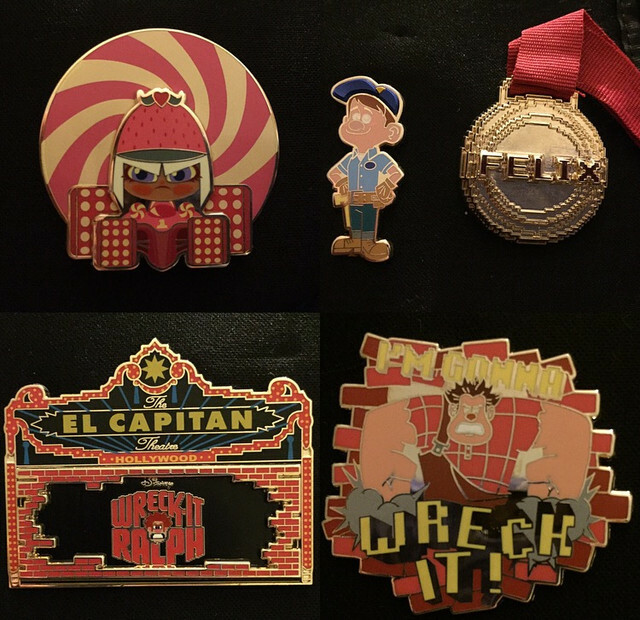 Over two years ago, I sold a ton of my Wreck It Ralph pins here to help me move, and now I'd like to clear the rest of them out as soon as possible for bill money and holiday money! I love these pins dearly and it's because of them I was able to move to SoCal and have so many opportunities and experiences, and I hope these ones can go to good forever homes, too! These pins were all bought through this forum at time of release, and include original backing cards. Please PM me with all inquiries! Thanks! Is LE300 Felix still available?